hello comfort food season. It's a good time to make something people are going to want to get cozy with, along with their blanket and remote control to flip the channels this fall. My friend Jess made these at a dinner a couple weeks ago and I loved them so much I had to try them out for myself. 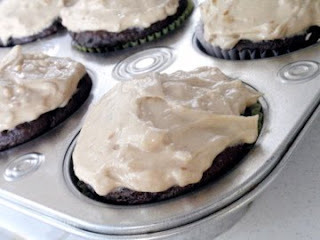 I used crunchy peanut butter for the frosting and ended up making them for a friend to welcome her new roommate with. I'd say they were a winner. The cake is really wonderful and moist, and the frosting- well you really can't go wrong here. 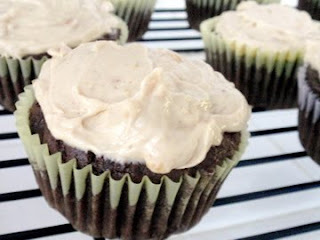 Make these and enjoy! In the bowl of an electric mixer fitted with a paddle attachment, cream the butter and 2 sugars on high speed until light and fluffy, approximately 5 minutes. Lower the speed to medium, add the eggs 1 at a time, then add the vanilla and mix well. In a separate bowl, whisk together the buttermilk, sour cream, and coffee. 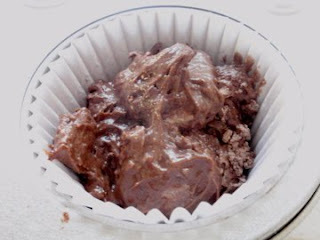 In another bowl, sift together the flour, cocoa, baking soda, and salt. 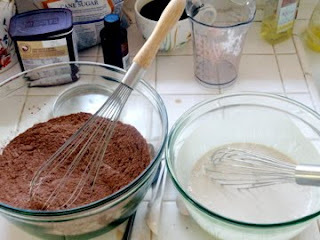 On low speed, add the buttermilk mixture and the flour mixture alternately in thirds to the mixer bowl, beginning with the buttermilk mixture and ending with the flour mixture. Mix only until blended. 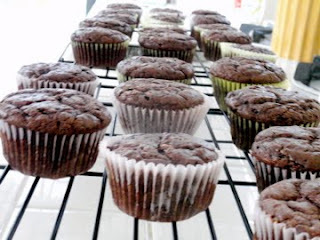 Divide the batter among the cupcake pans. Bake in the middle of the oven for 20 to 25 minutes, until a toothpick comes out clean. 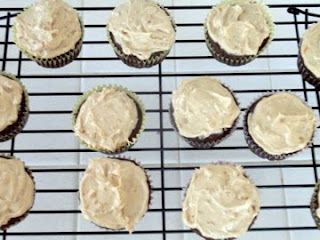 Cool for 10 minutes, remove from the pans, and allow to cool completely before frosting.